When you drive through the hillside out of Yarra Glen in the direction of Kinglake, Mamma wants you to hang are right and head towards Toolangi. This small town practically in the the middle of the bush l, has a lovely and almost mystical track that is set for a FREE family, outdoor experience. 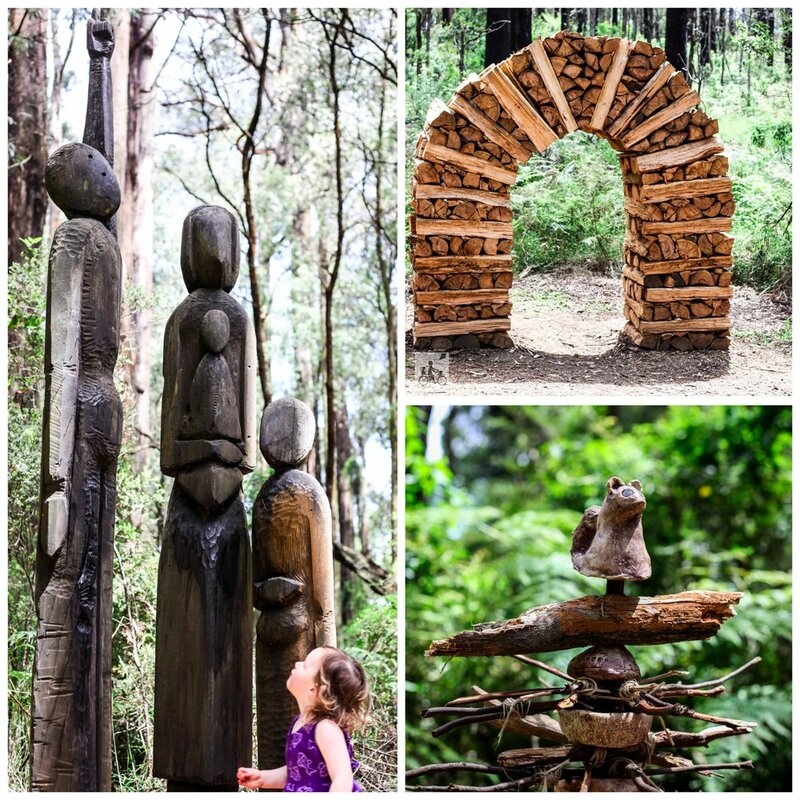 The Toolangi Sculpture Trail is an outdoor art gallery set in the bush. dozens of art pieces are dotted around the track have all been deigned to fit in this particular place in the world and have become almost a natural part of the environment. Half of the pieces have been here for 20 years and celebrations in 2016 added a second burst of life! Best to start the trail from the Discovery Centre and head down hill, slightly toward the road. Then send the kids on a treasure hunt for spider webs (not real ones! ), possums and eagles. 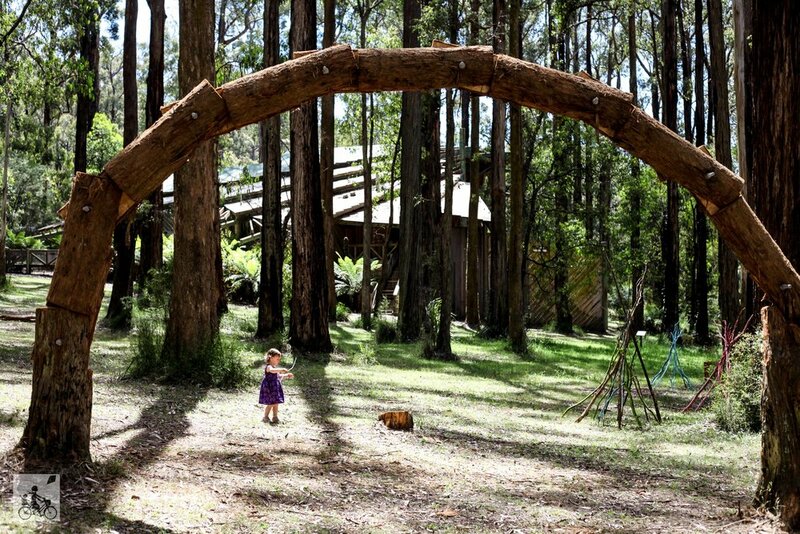 Wonder through archways, willow cubby houses and wooden families. The pathway is mostly flat and is pram accessible if you have too - however Mamma suggests you leave it in the car and take your time moving through the trail. There are little treasures everywhere - if you go too fast - you can miss them. Mamma's special mention: as with all outdoor adventures, be cautious on your adventure. Wear clothes toed shoes and stick to the paths. There is a visitors centre onsite but signs indicate it is only open on weekdays but there doesn't appear any information online to confirm this. 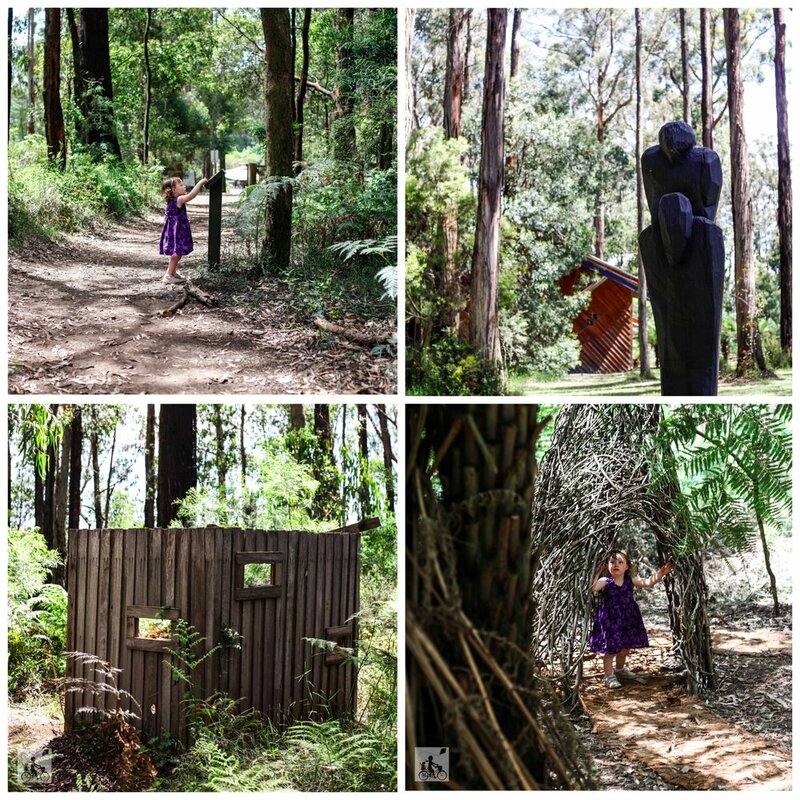 For more adventures in the area - pop back in the car for a drive to Kinglake and visit Bollygum Park!